I had a really great Friday with my boyfriend to (sort of) end my week of ups and downs. I actually had a horrible Thursday that consisted of a bunch of terrible events one after another. 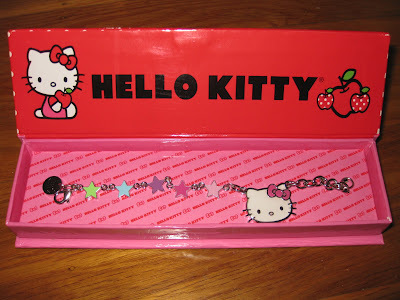 But anyways, this Hello Kitty bracelet that he gave me as a random "just because" present put a big smile on my face. 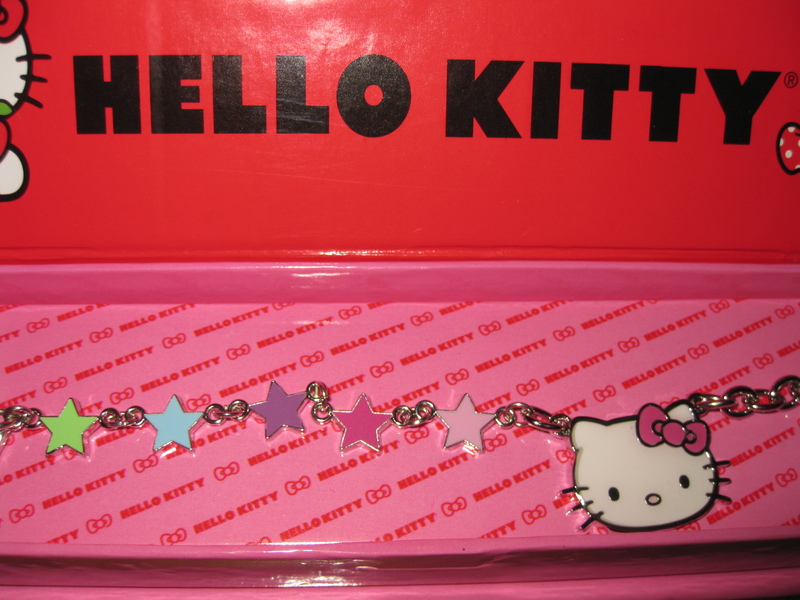 He knows that I love anything Sanrio related and that I collect Sanrio jewelry so this was really thoughtful. I love the box! Polka dot packaging is always adorable. I love the different colored stars..
Anyways, have a lovely Saturday everyone! What are your plans for today? Today I have a little work to get done and then I'm off to my grandma's house and after that, my uncle's.. busy day! =P Hopefully I get some snooze time in soon. Ohhh I want it! Looks so cute! So so cute! 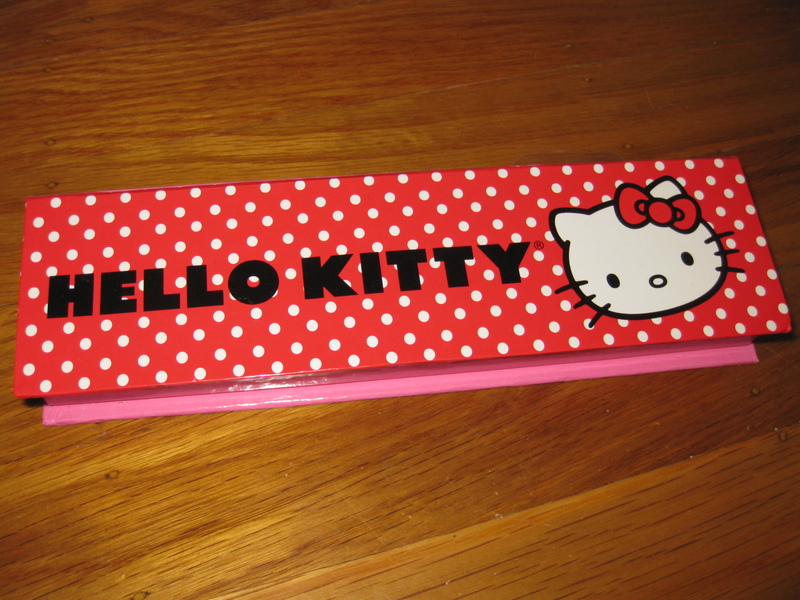 It's totally unfair how dominant HK is in the US - I want it in the UK! The bracelet looks nice and sturdy, not plastic-ey and cheap. @ Cassie.. Aww hope you can find one like it. 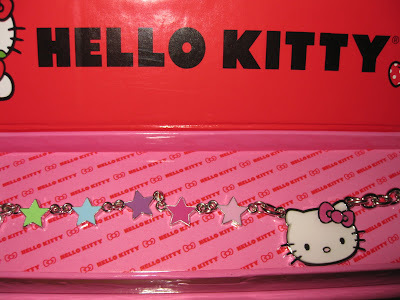 And yea that's a problem with lots of "child-like" jewelry but I'm happy this is pretty good quality as opposed to other jewelry I'd find at the Sanrio store.